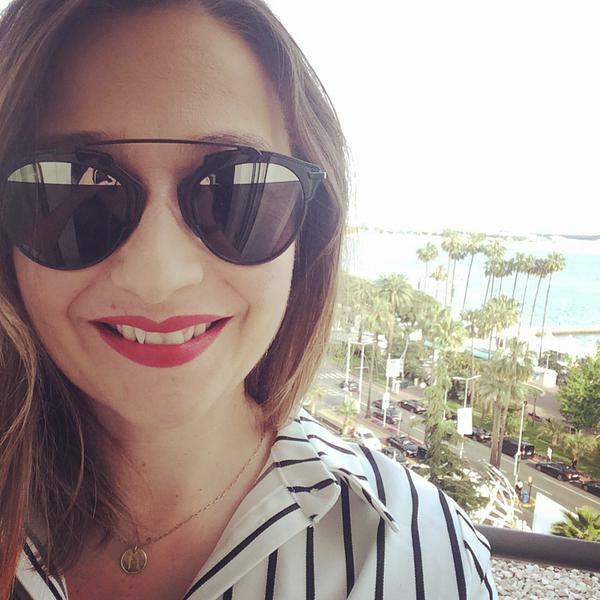 NakedPRGirl: You’re currently Fashion Features Editor of Instyle magazine – how did you get your job in fashion journalism? How did you know this was the career for you? Hannah Rochell: It sort of happened by accident. I was working in TV production and I did a short course in fashion history at LCF at the weekends just for fun. I'd always loved fashion and I fancied learning more about it. And I LOVED it. When it finished I decided to do another course - this time it was fashion journalism at Central Saint Martins - and my lecturer suggested I give up my job to take up fashion writing as a career. Coincidentally, the TV show I worked on wasn't re-commissioned so I was about to be out of a job anyway...so I took an internship at Red aged 30 and the rest is history! NakedPRGirl: You’ve worked for fashion heavy weights Instyle and The Times – how have those experiences shaped your career? Hannah Rochell: It's great to have worked for the oldest newspaper in the world! It never failed to impress people when I told them that I worked at The Times. I enjoyed the fast pace of a daily publication and it has been an incredibly helpful experience recently. Working for a monthly magazine was probably a little slower a few years ago, but I get that same fast pace from contributing to InStyle's website. Added to that, I get to produce beautiful features and interview amazing people; I absolutely love my job. NakedPRGirl: Instyle aims to be the ‘Ultimate Style Guide’ – how do you go about researching features for your audience? Hannah Rochell: Luckily for me, I AM my audience! I often read InStyle before I worked there and I'm the same age as many of our readers. If I think my friends would enjoy reading one of my features, I think I've got it right. NakedPRGirl: What’s the feature with the weirdest angle you’ve ever been asked to write? Hannah Rochell: I enjoy making up weird angles to be honest! I was recently asked to write for the website on the subject of Kylie Jenner spending 40 minutes to put on lipstick. I decided to list 7 other things you could do in 40 minutes instead. It was a much funnier way of covering the story. NakedPRGirl: Who’s the most memorable person that you’ve interviewed? Hannah Rochell: It's got to be Karl Lagerfeld. I only got 5 minutes with him but at the end he made me sit on his desk and pose for a picture with him! NakedPRGirl: How has life on a magazine changed since the explosion of digital and social media? Hannah Rochell: Enormously. We've all had to embrace it and these days my working day is just as likely to involve shooting and editing a video as it is writing a feature. NakedPRGirl: What advice would you give to someone trying to get into fashion journalism? Hannah Rochell: Accept every opportunity because you never know who you might meet. When you get that first foot in the door - and this sounds obvious but you'd be surprised - be polite, punctual and helpful, and have an opinion but only when you're asked for it! I never forget interns who have made a good impression and I always recommend them on to others. And write a blog! If you have evidence that you can write and are doing it regularly it can only do you good. NakedPRGirl: You also have your own blog – cleverly titled En Brogue where you look at (beautiful) flat shoes. What made you realise it was your USP and when did you decide to dedicate a blog to it? Hannah Rochell: I knew I needed to start a blog to further my career but I wasn't interested in taking pictures of my outfit - and therefore my face! - every day. When I stopped wearing heels I documented what flat shoes I was wearing to London fashion week on a Instagram. It was really popular, so I started the blog the following week. NakedPRGirl: Do you think your experience at Instyle helps your work with En Brogue and vice versa? NakedPRGirl: Did you carefully consider your brand identity for your blog and social media? Hannah Rochell: No. I'm lucky it worked out! I knew I had a great name and the rest just fell into place. NakedPRGirl: Your book was recently published – how did that come about? Hannah Rochell: I had the idea all worked out and had approached a few publishers without any luck. And then Saltyard approached me out of the blue. We hit it off after one meeting and they offered me a deal within a couple of weeks. I think they're the perfect match for me - they knew exactly what I wanted to do and I couldn't be happier with the outcome. NakedPRGirl: All the images and illustrations were your own, is art an important part of your brand? Hannah Rochell: Yes definitely. I've always been an amateur illustrator and I think I've found my niche! I'd like to expand that side of things. NakedPRGirl: London Fashion Week is always crazy (in fact – I first met you when we were photographing cool, denim wearing people at Somerset House) – how do you find it? Do you plan beforehand? Do you have late nights writing copy up? Hannah Rochell: Fashion week is my favourite time of year. I do a week in Milan and a week in Paris as well as London. The days are long and the work is hard but as far as I'm concerned, that's what it's all about. NakedPRGirl: What is your favourite social media channel and why? Hannah Rochell: I am an Instagram obsessive. You can really get your personality across. I've also made new friends through Instagram which is a brilliant added bonus. NakedPRGirl: Who are your fellow friends and supporters in the industry? Hannah Rochell: Team InStyle are awesome. I couldn't wish to work with a nicer bunch. I'm still great friends with Laura Craik, Carolyn Asome and Jane McFarland who I worked with at The Times. And Alex Stedman is a great inspiration - her blog The Frugality was one of my main drivers to start my own blog. Hannah Rochell: Love Fashion. Love Shoes. Hate Heels. You could have guessed that one! NakedPRGirl: If you could work with a dream brand, who would it be? 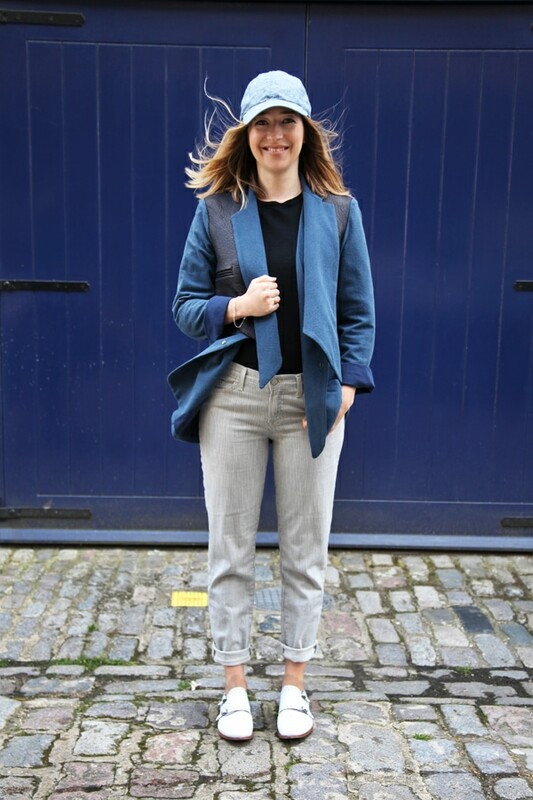 Hannah Rochell: I have many...but I'd love to do a collaboration with Grenson. Hannah Rochell: I can't tell you yet - but it's exciting! 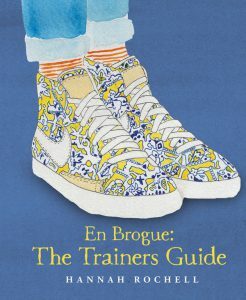 Hannah's new book En Brogue: The Trainers Guide is coming soon. 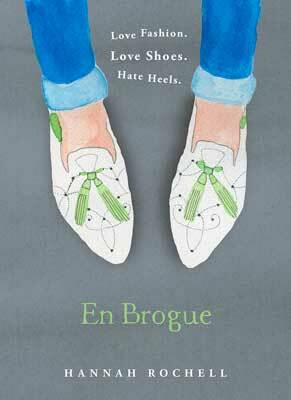 Read Hannah Rochell's En Brogue Blog. Follow Hannah on Twitter. Follow En Brogue on Twitter and Instagram. Images courtesy of DONNA IDA.